Nanores is a hi-tech, independent research and development laboratory, set to provide the highest quality service and improve standards of cooperation between science and business. Through the use of state of the art equipment and by creating a team of specialists in various fields (physics, mathematics, chemistry, materials science), we are able to efficiently identify needs and provide the best solutions for our partners. We are specialised in analysis and modification of structure of conductive and non-conductive materials. Our laboratory is equipped with electron and ion Dual Beam microscopes (SEM/PFIB, SEM/FIB), and Atomic Forces Microscope (AFM) with multiple advanced 2d and 3d imaging modalities. We offer unique ability of surface and volume imaging and analysis in nanometric scale including the identification of the atomic composition. Beforementioned services allow to reveal manufacturing micro and nano defects along with verification of their causes, supporting production optimization processes. We provide services for the production and design of micro and nano prototypes of photonic, mechanical, electronic and other structures. We offer a wide range of research and analytical studies of cross-sections of samples after their 3D reconstruction. We develop innovative solutions in the field of nanotechnology, design and development of nano- and microstructures such as photonic crystals (PhC), nano- and microelectromechanical systems (NEMS/MEMS). To ensure the highest quality of our services, actively we participate in training use advanced equipment, which is included in our laboratory. Our basic equipment is microscopes FEI Dual Beam, which combine the ultra-high electron microscope and the ion microscope. Summary ion, gallium microscope (Gallium Focused Ion Beam, Ga-FIB), and xenon (Xenon Plasma Focused Ion Beam, Xe-PFIB) ensures complementarity of the two technologies – as the only company in Poland, we have a microscope DualBeam with xenon plasma beam. The perfect complement is also the atomic force microscope (AFM), working in a wide field of 100 µm. To read more about our laboratory, to meet their basic application and parameters, we invite you to bookmark EQUIPMENT. Nanores is a team of passion driven people, who support each other, share knowledge and experience and strive for perfection in realisation of unique projects. We would like to invite companies, universities and creative individuals to join us in collaboration towards realisation of ambitious scientific and business goals. Are you interested in paid internship in hi-tech, innovative start-up? If the answer is 'yes' then we have great news for you ! 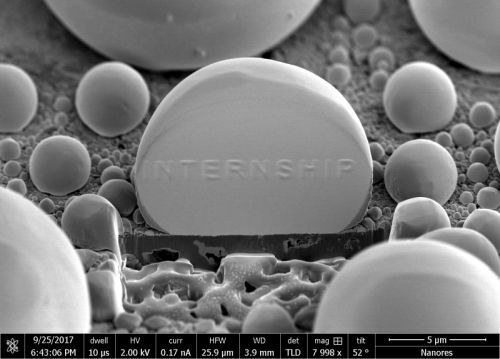 Nanores is now recruiting students for internship in our laboratory. The internship is planned to begin in January 2019. Please send your offer with CV and cover letter written in English until 14.12.2018. 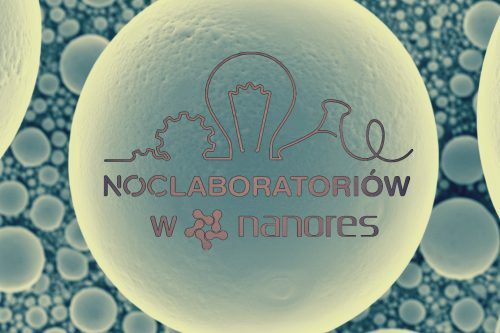 In just 6 days, 10th of October 12.00 o’clock, registration for the Noc Laboratoriów in Nanores and other partner laboratories is starting. We invite you to visit the registration website www.nanores-noclaboratoriów.evenea.pl and to the organizer's website www.noclaboratoriów.pl. During the workshops at Nanores, the Participants will have a unique opportunity to see for themselves how the electron-ion microscope works and to learn what interesting technologies scientists deal with in a modern laboratory such as ours. © 2015-2016 Nanores Spółka z ograniczoną odpowiedzialnością Sp.k. All rights reserved.